What a moving display of bravery, determination and vision from the Parkland students and the young people who organized “March for our Lives” across the country to protest gun control. Their messages were future-thinking and visionary, calling for: an end to gun control, protection for students, letting teachers teach and not carry guns, and preserving democracy which works for the people and not for corporate interests. In the model of Adaptive Leadership, Ron Heifetz at the Kennedy School of Government defines leadership as the ability to mobilize people to action on an issue that they care about. Check – the students did that. 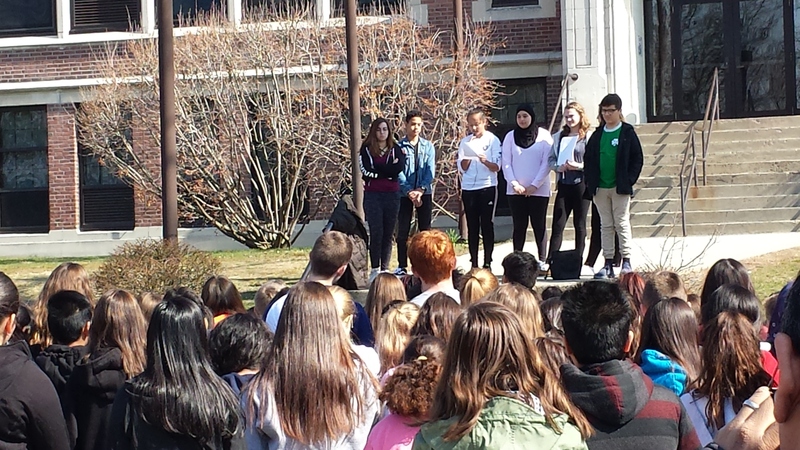 In my town, students from Watertown High School and the Middle School, mobilized their classmates to walk out of class to commemorate lives lost in Parkland. We, the adults, stood across the street to support them. In addition, the Adaptive Leadership model distinguishes between leadership and authority. Some people have formal authority by virtue of their position, whether they’re elected or promoted in their jobs. Just because they have authority doesn’t mean that they demonstrate leadership – as evidenced by the inability of Congress-people to pass legislation on gun control. 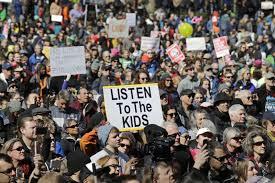 By the same token, people who aren’t in positions of formal authority can demonstrate leadership – which is exemplified by the Parkland students who have spoken out and have motivated millions of US Americans to vote with their feet in the March 24 protests across the nation. 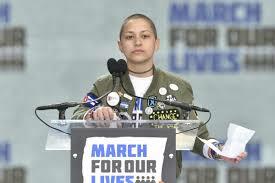 In another stirring display of courageous leadership, Emma Gonzalez, stood in front of an enormous crowd and recalled the names of her friends who were killed. She stood in silence for 6:20 minutes to demonstrate the amount of time the shooting went on, and to make people feel what the intensity and fear of those 6 minutes. In the language of Adaptive Leadership, she and the other students “gave the work back to the people”. In other words, people can’t acquiesce and say “there’s nothing we can do about it”, or “those politicians won’t do anything about it” – rather, we, as voters, have a role to play, in demanding that our elected officials take action, and if they don’t, in voting them out of office. We’re seeing more and more young people manifesting leadership on a national stage, on this issue, gun control, in Black Lives Matter, and in climate action. Our current adult leaders could learn a lot from these young leaders.